Ha! It is so worth it. SO MUCH TIME SAVED! My Instant Pot is my fav appliance!! Can’t wait to try this one! I have done this with chicken breasts. I don’t know why I haven’t tried it with hamburger. I always shred my chicken with my mixer. I wonder it that would work for this? Oh wow, good idea! I would imagine it should work! P.S. This is probably really bad but I don’t drain the grease off of ground beef ever! Yeah! We “diabolical” Instant Pot fanatics are so happy for you Laura, 8-) I have 2lb packages and find that it can take 80 minutes pressure time plus pressure build uptime and release time. I love the smell, I love the tenderness, and I love the taste! I’m able to fit three, 2 lb packages in the pot. I’m so, so happy because of your “stand up” suggestion Laura, 8-) Thank you!! I can now fit 4, 2lb packages in and have so much cooked hamburger to work with. I don’t even add the rack. Some of the hamburger will be quite brown but it’s yummy. When you say, “under the trivet”, do you mean directly in the pot and then you place the interior bowl in the water? I didn’t know you could do that. 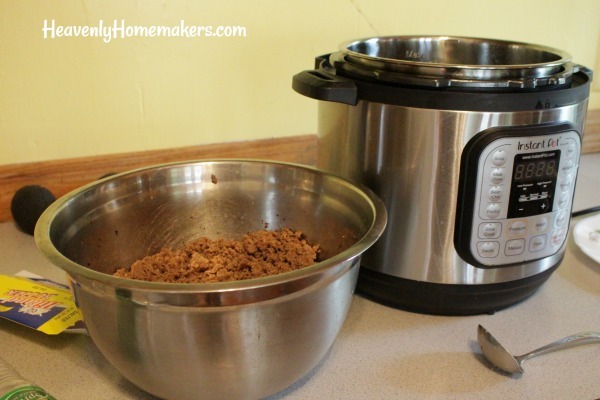 I make my ground beef in the IP, but add the water into the pot with the meat. My Instant Pot came with a metal “rack” type trivet that lifts the food up off the main cooking pot about a 1/2 inch. I put my water into the cooking pot, then the trivet (rack) down into the pot with the water with the frozen meat sitting on the metal rack. Does that make sense? Sorry if I’m not wording it well. I’m new to the Instant Pot with all its pieces! Can’t you skip the trivet and have the water and ground beef together? Then drain off whatever is needed to make it the desired dryness? Or would cooking with the water be bad? I’ve never tried it that way, but I don’t see why it wouldn’t work! Do you have any cooking estimates for smaller amounts, like 3 lbs? Thank you. I just purchased the meat masher. I had no idea those existed! 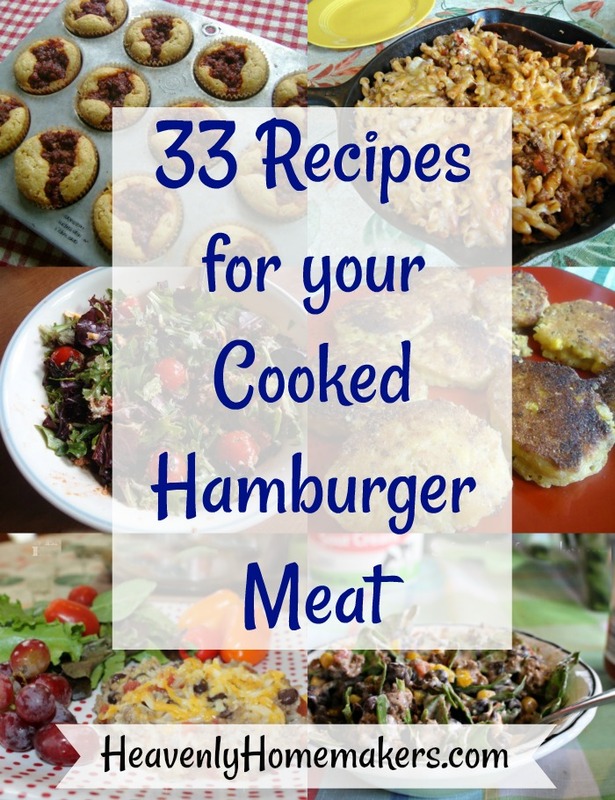 If your hamburger meat was already thawed how much would you adjust the time? I tried it with 5lbs frozen meat with trivet on the bottom. 1st 30 min. Meat was thawed, 2nd 30 min. Lightly browned on the outside (drained the grease at this time). 3rd 30 min. (1.5hrs later) mostly browned meat. Browning 5lbs. hamburger this way is faster than the microwave & the crockpot, but you have to babysit the entire process. Will go back to the crockpot. How strange! It works for me in 30 minutes every single time! Ugh! Is yours a 5lb frozen block? or is it smaller 1 or 2 lbs blocks? That would make a difference. Love this! I break mine up wits my Kitchen Aid mixer…so easy. Thank u! Any ground meat would work! 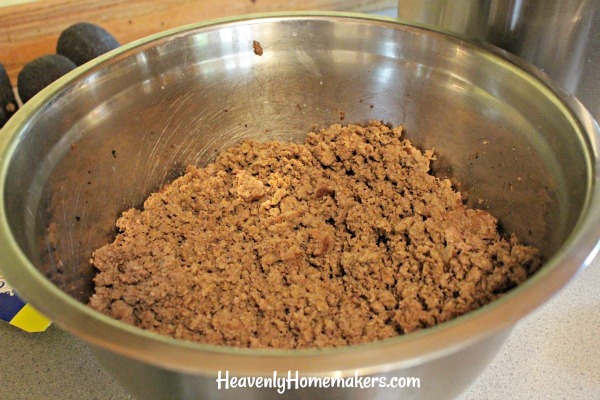 I also used this method with ground venison. 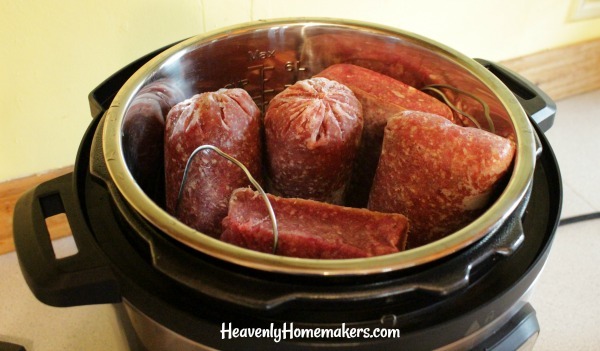 Our family eats half venison half beef for our ground beef recipes.